I love to see my boys play and use their imagination at the same time. I was thrilled when I was contacted to let them try K'nex. We received the 400 piece set and the Elmo Ice Cream Truck. I was thrilled to see that even though my boys are far apart in age K'nex carries something for each of them. K'nex 400 Piece Building set offers building ideas for 20 different models. this set has kept my older boys busy for hours! I love to see what they will build next. One of my favorite thing is having the storage tub, makes for easy clean-up! This set retails for $21.99 . Loaded with 400 parts, including bricks, for lots of open-ended fun and endless building and play opportunities! Includes instructions and ideas for 20 models or use your imagination to dream up your own creations. The convenient storage tub means there is always a place to put your parts or take the fun with you wherever you go! For ages 7+. We were also sent the Elmo Ice Cream Truck from the Sesame Street Neighborhood Collection by K'nex. It is a 18 piece set designed for ages 2-5. I really like the chunky size of the pieces in this set, it allows my almost 3 yr old to hold and use the pieces with ease. Your child can build the NEW smaller scale Elmo - dressed in his white uniform and cap - along with his ice cream truck! A "Play & Learn" activity sheet filled with educational fun for parent and child, plus additional building ideas, is also included. This 18-piece building set pairs perfectly with the Neighborhood Collection 1-2-3 Brownstone Building Set. Look for all the Neighborhood Collection Building Sets so your child can build his own SESAME STREET Neighborhood! 18 pieces to build Elmo and his ice cream truck! 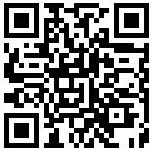 Right now there is a Make a K’NEXion video contest going on. All you have to do is make a video that your child’s K’nex building skills and features your child building with select K’NEX products. Be creative, use your imagination, construct your own story – as long as the video features building with K’NEX the possibilities are endless. Official rules are available at Knex.com. 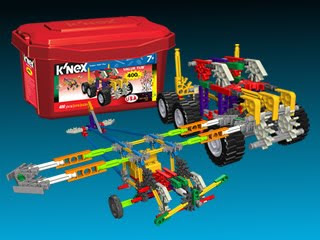 The ten best videos will be featured on KNEX.com and one winning video will receive $1,000 worth of K’NEX toys. To enter: Post the video on your own blog or website and submit the link along with a completed entry form (available at Knex.com) to knexvideocontest@knex.com. You can also submit a video if you do not own a website or blog, just visit the KNEX website for full details. Life In A House Of Blue received the Elmo Set and the 400 piece building set from Team Mom to review. This is my opinion and thoughts on the products. K'nex building kits can sharpen the imaginative ideas of the children which can later advanced the existing building designs and more with time. This seems to be helpful in proceeding the functions of innovative ideas with great pace. We love K'Nex! Johnny has also shared with me that they use them in Science class. Fun and educational! KNex are awesome! Santa is bringing some for Christmas! Knex are a great gift. My boys love them.